Disclaimer: This is no way an attempt to rip off of the great series John Moore runs over on BrandAutopsy — the title just seemed fitting. I have been using Twitter for some time now, increasing my usage to see if it changes how I’m consuming media and, more importantly, my opinion of it. I’m nearing my 500th update, and my opinion has yet to change. 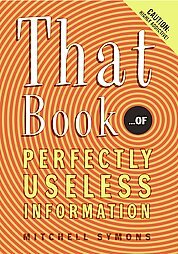 It’s still full of essentially useless information with the occasional nugget of good information thrown in. Case in point are a few gems over the past 24 hours from people I’m following that include JasonCalacanis‘s tweet that he’s “Walking the dogs at 1 am…” and chrisabraham‘s “Stumbled to the kitchen and made bread and butter and cheese” update. Twitter was scheduled to go down for maintenance yesterday for 12 hours, with Twitter addicts, aka Twitheads, freaking out that they wouldn’t be able to update their virtual friends with useless info. For those unfamiliar with Twitter, think of it this way — remember when cell phones first came out, and people would call each other just because they could? Yeah, it’s kinda like that. Loren has a funny vid about it here. I couldn’t have said it better myself. So with the astute point that life will go on and that people will still stay in touch via email, Facebook, phone, Skype — hell, you name it — I’ve tried to find reasons as to why Twitter will succeed… because yesterday’s reaction to scheduled maintenance (which, consequently, was moved to tonight at 10 PM PST) was the closest thing I’ve seen to a web-app version of Y2K. Is it really the type of 2.0 app that, if it went away, would cause riots? Um, no. It’s not SMS/texting.. Kids can text and talk to each other through their cell phones, and that’s where all of their friends are now, including address books, installed IM apps, etc. It doesn’t provide a better solution. The daily “Bring that noise back!” messages, e.g. our service is down, are way too frequent to be providing what I’d consider to be a good product. No incentive. The only way I can see people jumping on en masse is if a major brand decided to provide a large enough benefit to try it. The “it’s cool!” factor doesn’t hold water. No upgrades. The site has been basically the same since it launched. There are some third party apps, like Snitter, that are more useful than the site itself (minus lapses/delays in updates), but the functionality of the site – from searching your tweets via the web to creating different permissions for groups of friends to basic functions like importing your address books from your cell- has basically remained the same. Meanwhile, Google buys Jaiku and will undoubtedly integrate it into their list of tools and bury Twitter because they have mass, not just hype from < 1% of the hyper-active web users. People will ask “What’s in it for me?” when being asked to use a new product or service. This value proposition is where Twitter has no real answer. Given the aforementioned reasons, the best Twitter can hope for is to be acquired by MS, Yahoo, IAC or another web giant and become integrated in their properties in a way that makes sense and is usable — and answers the question. As mentioned, Google is clearly out of the equation with their acquisition of Jaiku and, if there is an opportunity for microblogging to succeed, will happen as a result of their actions and answer – not hype from the 1% or bad research. this makes me wonder what you want from twitter? it’s a way to talk to people. nobody is scintillating in every thought they utter. for me, twitter is a way to stay in touch with friends, meet new people, and learn from some great minds. and if they want to tell me what they had for dinner, that’s fine with me. when all of someone’s tweets are inane, i stop following them. thanks for the comment. but what i want to know is that if it went away, would you really care or just migrate to another app/site? David … you are by no means ripping this off from me. After all, I copped this “would you miss” idea from the MAVERICKS AT WORK book. I’m a very casual Twitter-doer but some of the tweets I read said people would be migrating to a different app while Twitter was down. Seems like people are more attached to connecting online with people than they are attached to Twitter. Thanks for the linkage David. thanks for the comment and history behind “would you care?”. it’s a great concept. i had the fortune of presenting with Peter Hart and he had a great slide about “The New Free Agents” – basically the combination of the internet, customer service and comparison shopping has made the everyday person less loyal to brands. i would pose that same question to Biz and the Twitter posse. good point, and thanks for the comment, however it could have easily as come via email, Facebook, Pownce or any other web property/technology you’re a part of. I too am only here because of your tweet. However, since I average maybe 5-10 tweets a week, I’m pretty sure I would not miss it if it went away. I killed my Facebook profile last month and have not missed it for one second.